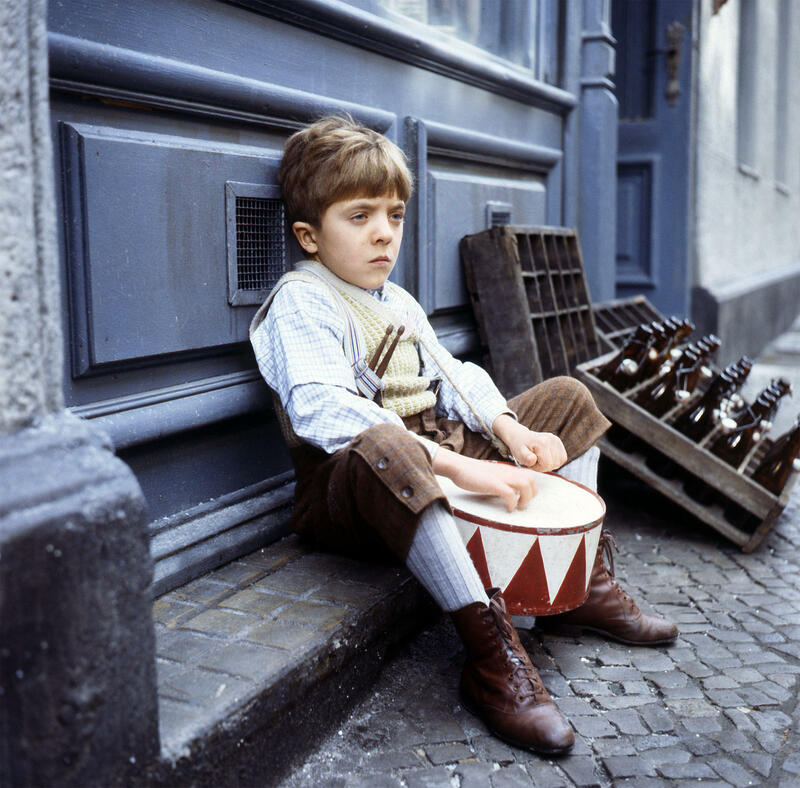 The Tin Drum (Die Blechtrommel) is a German-French film from 1979th, directed by Volker Schlöndorff. The film is based on a novel by Nobel laureate Günther Grass from 1959th. The Tin Drum is a story about a boy Oskar, the only son of the Kashubian family, living in the rural area of the Free City of Danzig around 1925th. For his third birthday Oskar gets a great new drum. At that point, instead of growing up in one of the miserable samples of adult men he sees around him, he decides never to grow old nor grow up. Whenever the world around him becomes unbearable, the boy starts to play his drum; if someone tries to take the toy, he produces deafening sound that literally breaks the glass. As Germany sinks into Nazism and war in the 1930s and 1940s, Oskar who is not getting older, continues to wildly hit his drum. The film has won numerous awards, including the 1980s Academy Awards – Oscar for Best Foreign Film, 1979s Cannes Film Festival – Golden Palm (together with “Apocalypse Today”); 1979s German Film Award – Film Challenge Award “Golden Ball”; Bodil Award for Best European Film 1980; Blue Ribbon Award for Best Foreign Film in 1982, etc. Jadran film (B. Lustig, Z. Senecic) and Film Polski participated in the production of the film, while the writer of the novel, G. Grass was involved in the scriptwriting adaptation. The Trial is a French-Italian-West German black and white feature film shot in 1962, known as one of the most ambitious but most controversial achievements of Welles filmography. Orson Welles came to Zagreb in 1962, which for the Jadran Film’s development meant the beginning of his conversion into the most important film studio in Central Europe. The budget was fairly large for that period, $ 1.3 million, but Welles had to look for backup locations in Ljubljana, Rome, Milan, and most of all at Paris’s abandoned Gare d’Orsay railway station. For the director of photography he chose debtor Edmund Richard, a French color corrector advisor in popular films by Zika Mitrovic “Miss Stone” and “Kapetan Lesi”. That this was not a question of unreasonable risk also testifies his later career: not only did he shot Welles’ “Midnight Bells”, but also “The Discreet Charm of the Bourgeoisie” from Luis Bunuel. His black and white photo proved to be impressive. As a director of photography, Richard is the most deserving for a dynamic and anxious atmosphere where cloister-filled spaces crowded with humans alternate with empty, agoraphobic halls, and when the dazzling staircases are added to it, with a dark lobbies, overwhelmed by shady shadows, an anxious world is created where the tragic epilogue of the protagonist implies in every step. From the almost postapocaliptic scenes of the embankment, the anxious modernist cubs of the Open University, to the dark neo-gothic of Zagreb Cathedral, Zagreb has been converted into a prison, a courtroom and a stratum of an anxious film of absurd. 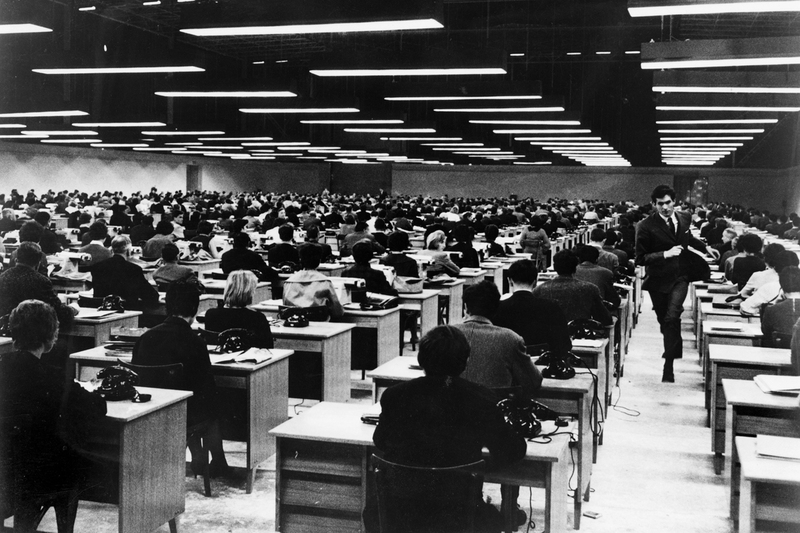 The most ambitious set was at the Zagreb’s Fair, where an office with 850 tables was created, in which Josef K. works. At the each table, one extra typed. Obrad Kosovac, former HRT (Croatian Radiotelevision) director, then was a student who often worked as an extra in the movies, and so he “acted” in The Trial. He was not too thrilled, the scenes were constantly repeated, but, like Relja Basic, he was intrigued by Welles’ method of directing. Andrea Saric received the greatest chance as an Croatian actor, she briefly communicated with Perkins in one scene, while Relja Basic’s role was a little bit more than an extra. Welles had tightly closed sets, because he worked very precisely on the scenes and he forced the details to perfectionism, so he needed complete peace of mind. During filming, he met Croatian actress, screenwriter and director Oja Kodar, who will become his muse, star and love for the next 24 years, until the death of the famous filmmaker. 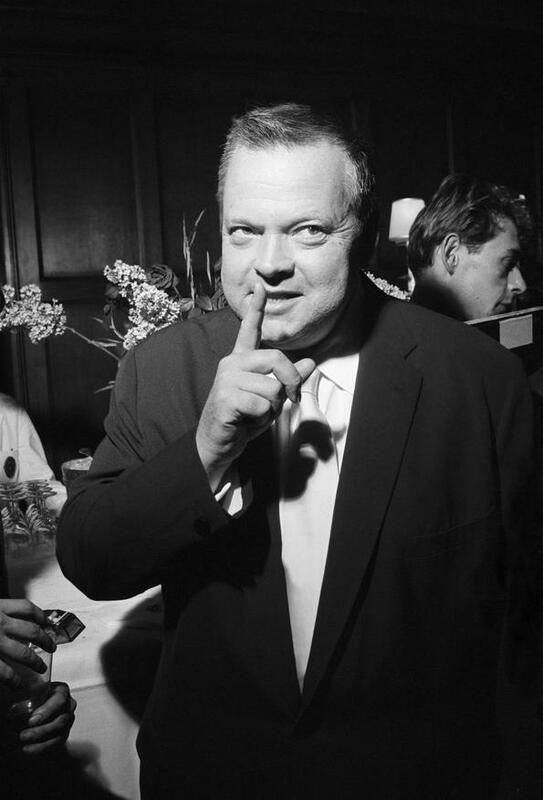 Welles often returned to Zagreb after The Trial, he loved Zagorske strukle and ate them at the Esplanade Hotel where he regularly stayed. His first film, Citizen Kane (1941), critics most often choose as the best film of all time because of the many innovative elements. After The Trial he directed an unfinished TV series The Deep with the photographer Ivica Rajković, he play the roles in the Croatian films Battle of Neretva (1969) and Nikola Tesla’s Secret (1980). He also paid a visit to TVZ (Television of Zagreb) in the show 3,2,1, … go! His links with Croatia were recorded in HRT’s documentary movie The other side of Welles.